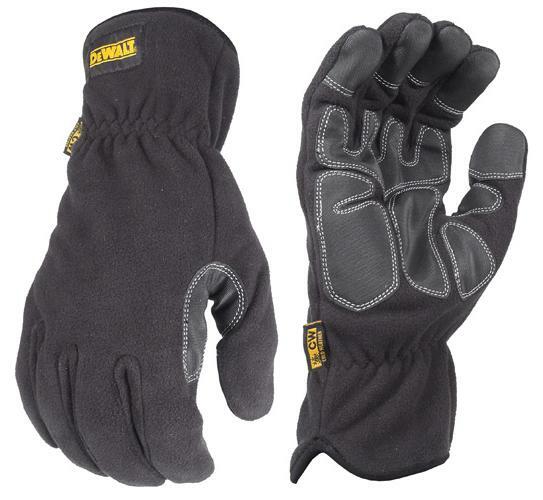 DeWalt DPG740 Gloves Mild Condition Cold Weather Fleece are light weight, mild winter, wind & water resistant fleece gloves with superior breathability and comfort. Synthetic Leather Fingertips enhance grip. Synthetic Leather Palm Overlays improve durability. Durable ToughThread Double Stitching extends the life and durability of the glove. 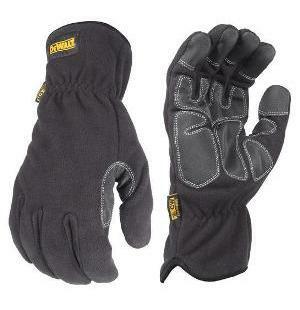 Extended cuff for added protection, wind & water resistant fleece outer shell. Reinforced Saddle Overlay provides extreme durability. Good for outdoor jobs, construction, material handling. Available in medium, large and x-large.